Which Club Should United Midfielder Anderson Sign For? 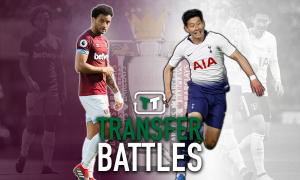 | The Transfer Tavern | Where football transfer rumours fly or die! For many Manchester United fans, Anderson is a classic example of what might have been. An injury blighted career has stalled his progress at Old Trafford, and has effectively rendered him a dead weight. However, his talent is still well known, and there are many clubs who would happily have the 24 year old in their team. The question is, who should he join? 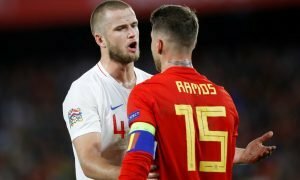 According to several reports throughout the transfer window, it seems there were several clubs regularly linked with the Brazil international, the most commonly reported being that of; Tottenham Hotspur, Benfica, or AC Milan. All three of these clubs are well known, and are regular challengers for European competition places. The choice now for Anderson, who only made ten appearances last season, is which club would be the best to revitalise his career. Having been spotted in Portugal by Manchester United while plying his trade for Porto, Anderson would quite easily slide back into the Portuguese League style of play. An added benefit to joining Benfica is the ability to regain his grasp of football, without the added pressure of playing in a more competitive league such as La Liga or the EPL. Sporadically linked with a move for Anderson during the transfer window. AC Milan have been looking for a midfielder who can boss the centre of the park and believe Anderson, who is well known when he does play for his great tackling ability, will provide the answer. Serie A is also known for it’s slower tempo in comparison to the Premier League, which will suit Anderson, and his methodical playing style. The club most regularly associated with signing Anderson during the Summer, the Brazilian would have several decent motives for joining the North London Club. Scott Parker is their only high class midfield talent who is focused more on winning the ball in the centre of the pitch, rather than immediately pitching it forward. With Parker also getting on in years, Anderson would have the perfect opportunity to stake a first team spot at White Hart Lane. Despite all his injuries, Anderson has now been in England for five years, and by now will be more accommodated to the rigours and style of the Premier League. This would ensure he beds in a lot quicker at Spurs, then he would do in another league. Whether Manchester United would willingly sell him to a rival of theirs, is yet to be seen.